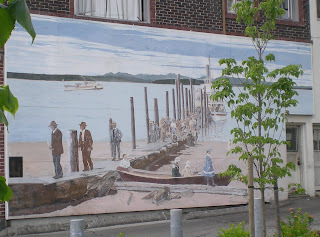 West Seattle has a bunch of great murals and they have been featured in the book West Seattle 101 and on the West Seattle Blog . 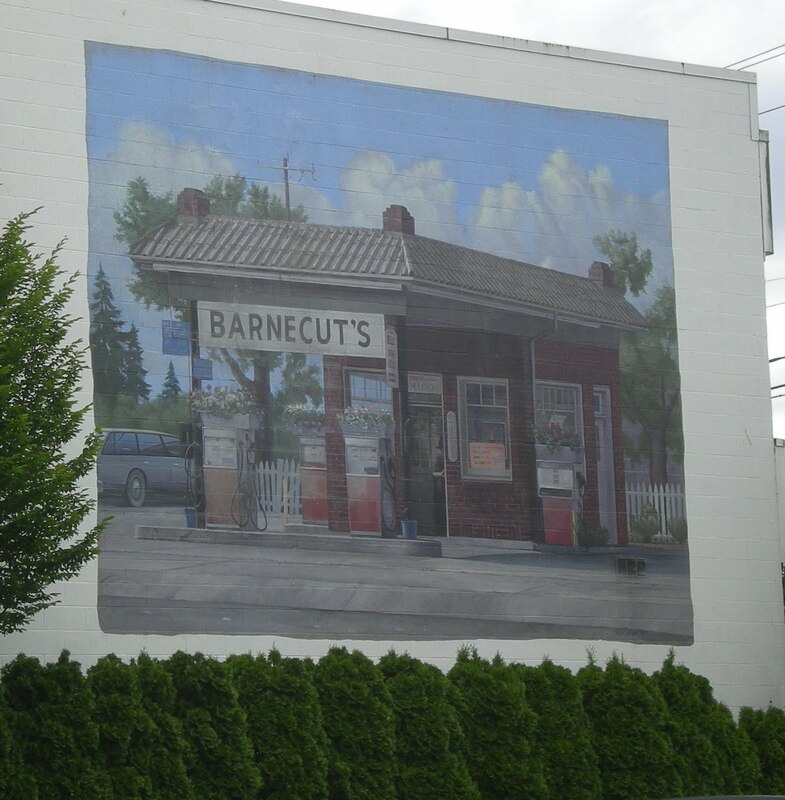 The Murals of West Seattle were created to represent images of West Seattle’s past. 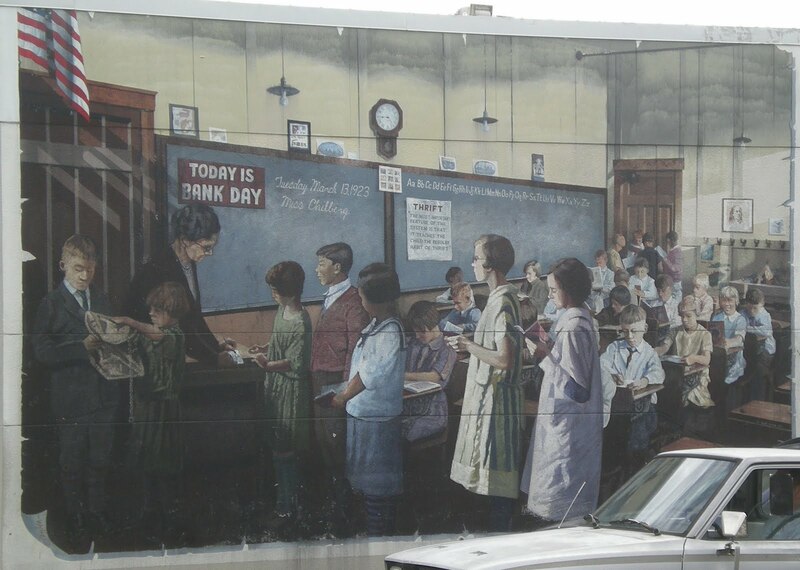 Spearheaded by Earl Cruzen and funded by a partnership between the West Seattle Junction Association, the City of Seattle’s Neighborhood Grants Program, and many local businesses, The 11 Murals employed gifted artists from all over the United States and the project won a national Neighborhood of the Year Award from Neighborhoods, USA in 1992. 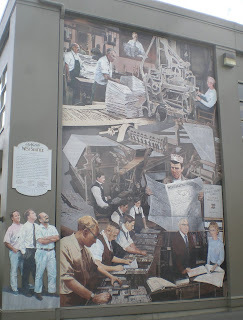 I was out and about today and got some photos of some of the murals that were not pictured on West Seattle Blog. 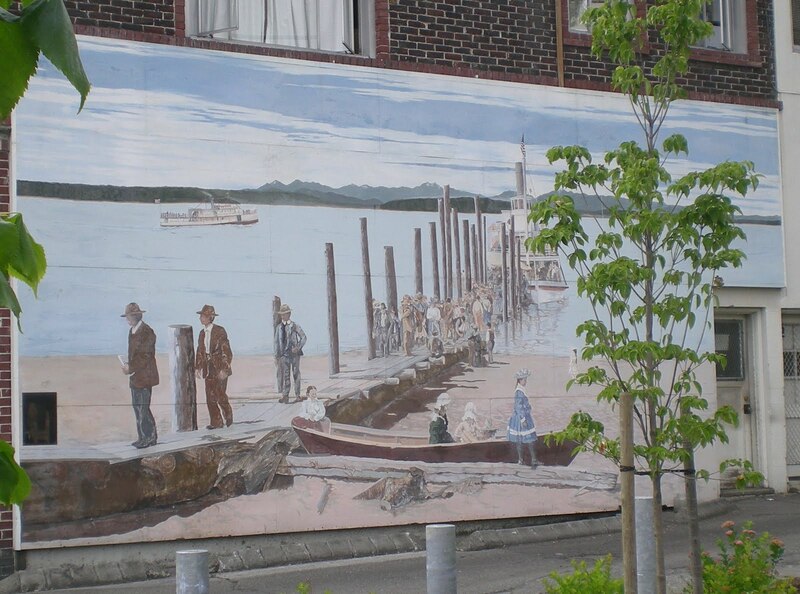 Located at California and Alaska, this mural depicts a 1910 Sunday landing of the S.S. Clan McDonald at Alki. The paddle-wheeled vessel provided the major form of turn-of-the-century transportation around Puget Sound. 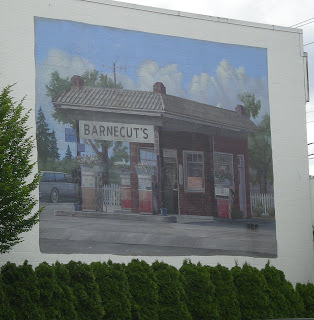 Painted by local artist Don Barrie, this mural was created from an old photograph of a horse-drawn rig leaving the Junction Station from its mural location at 44th and Alaska. It has a 3-D element which is really cool, but it needs refurbishing, it is quite faded. 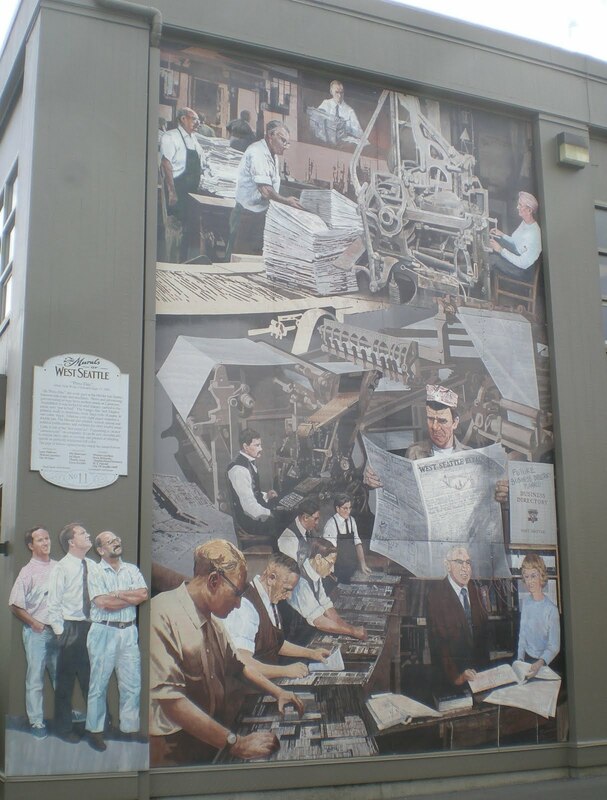 This mural depicts the West Seattle Herald pre-WWII. 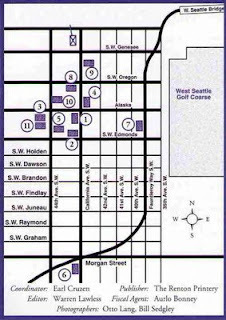 It is located on 44th between Alaska and Edmunds. Located at 44th and Alaska, this mural depicts the swimming pool in Lincoln Park installed by local philanthropist Laurence Colman. A tide gate filled the pool with saltwater from Puget Sound. The heated, saltwater Colman Pool began as a tide-fed swimming hole in 1929, and was periodically hosed out by the fire department to rid it of accumulating mud and debris. 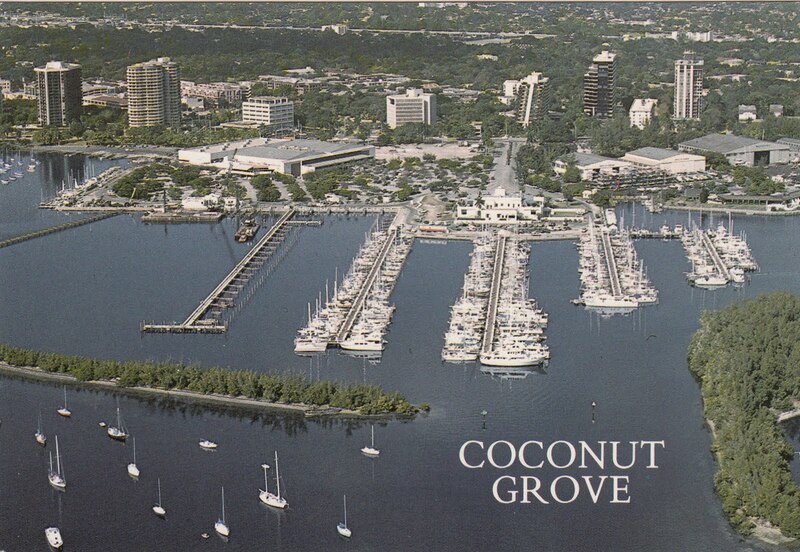 It became so popular that residents began asking for a concrete bottom and sides - much to the chagrin of the city, which wanted to abandon it entirely. The pool took final concrete form in 1941, when Kenneth Colman, son of Laurence, donated $150,000 to have it built in honor of his father. 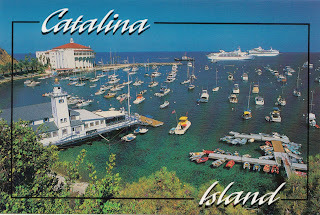 I have fond memories of traveling over to Catalina Island on the ferry from Newport Beach with my niece and my Dad. 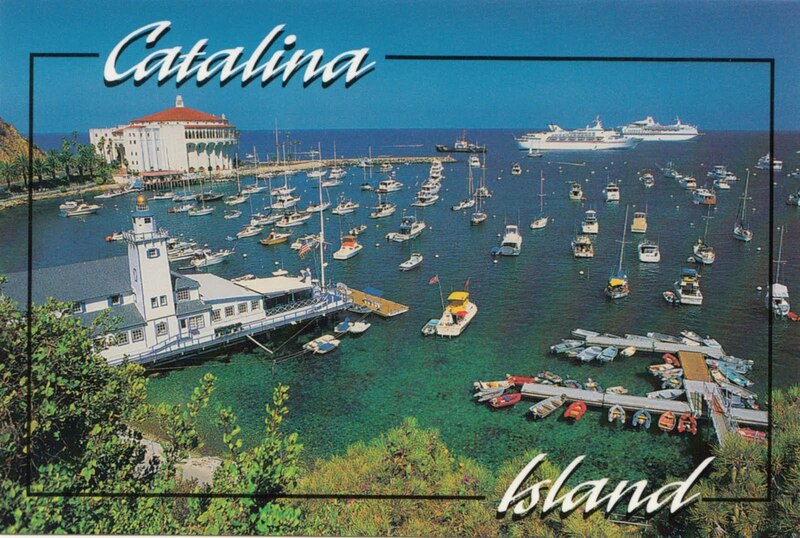 We met with my Stepmom from her cruise ship and we took a golf cart around the island. It was great fun. Another favorite layover. 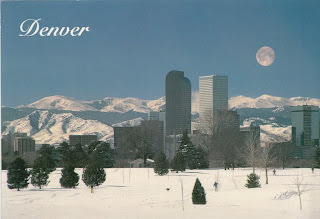 This card is from 1994 and we still flew into Stapleton International Airport. The new Denver International Airport opened in 1995. There was a kiosk at Stapleton where you could get caramel corn and regular popcorn mixed together. Not at the new airport. I loved that stuff, now I have to create it myself by buying both caramel and regular. I have been enjoying Denver layovers again this summer!! Happy Father's Day! This "wild card" is from my Dad and shows the Coconut Grove Marina where he lived for several years on his boat. One of my favorite layovers in Europe is Rome and I love to wander around and look at all the fountains there. 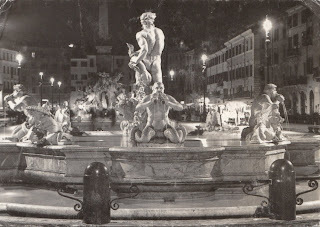 Here is one of my favorites in the Piazza Navona. This is also the location of a wonderful Christmas Market during the holiday season. Here is a postcard of The Chapel at Davidson College. I got this card from my Granny in 1995. "what a lovely morning" she says. She always could see the bright side of things. I hope I can always be as optimistic and happy as my Granny. 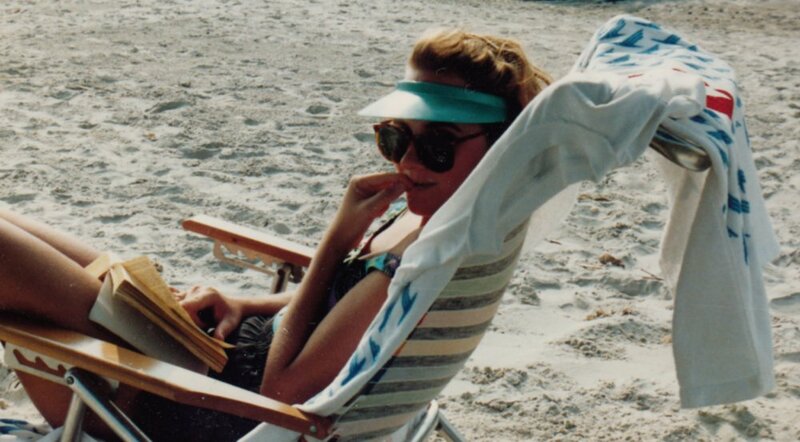 What do you like to read at the beach? Classics? Thrillers? Tearjerkers? Trash novels? I am a fan of the HUGE epic novel, give me Gone with the Wind, or Anna Karenina...Outlander or Pillars of the Earth, I want 600 pages or more of sweeping drama! Something that totally transports me to another world for days!! Also I have started adding if books are from the Library or not, because I think that most of my books do come from the library. This month all the purchased books came from used bookstores, except for the Butch Cassidy book, purchased at the Territorial Prison Museum gift shop in Cheyenne. I got the Butch Cassidy book while we were on our Road Trip from NC to WA. We stopped at the Wyoming Territorial Prison Museum (which was terrific) and Butch Cassidy had been there for almost 2 years, July1894-January 1896. This book is about whether or not Cassidy was really killed in Bolivia (like in the movie with Robert Redford and Paul Newman) or if he returned to the USA and went straight for the rest of his life, dying in Washington State of cancer. Lots of evidence compared and contrasted. Fascinating!! Continuing to read the different series by Bowen, Harris and Winspear. I have noticed that the Sookie Stackhouse books by Charlaine Harris are best read in order. The ones this month, Dead as a Doornail and Definitely Dead really have a lot of characters that you have met in previous books and to understand all the relationships between the different characters, it really helps if you have read the other books first. Don't Look Behind You is a YA thriller and by the same author who wrote "I Know What You Did Last Summer"--bet you didn't know that one was a book first too!!! :-) And she also wrote "Hotel for Dogs" which was also made into a movie. Elizabeth Berg writes "chick lit" often very sad, tear jerkers! I love her stuff and this one was not my favorite of hers (I like her period ones about the 1940's better) but it was good. The Unnamed is about a man struggling with his mental health and the toll it takes on his marriage and his relationship with his daughter. Black Widow by Randy Wayne White is a murder mystery set in Florida (Sanibel Island area). When I lived down there, my boyfriend at the time was drinking in a local bar and met the author! He got some books signed for me and I continue to read the latest by White whenever they come out, I am a bit behind as this is book number 16 in the Doc Ford Series and number 18 is out in hardback right now! Star is Warren Beatty's biography, I have been on a biography kick, I read J.D. Salinger's last month and I want to read the new Rob Lowe autobiography....There is a new one out about Robert Redford too! The Serenity book is a collection of a bunch of essays about the Firefly Television series and movie, Serenity directed by Joss Whedon of Buffy the Vampire Slayer fame. Good Behavior by Donald Westlake, these are really fun heist novels. His Dortmunder series is great and I had not read this one yet. Lots of his stuff has been made into movies and there is a lot of action and comedy. Started Early Took My Dog by Kate Atkinson, I am a huge fan and read everything by her when it comes out. She's British, and her books are set in England with a British Private Eye as the protagonist. This one concerns adoption and a woman trying to find out about her birth parents. Charlie St. Cloud was made into a movie with Zac Efrom. Ben Sherwood also wrote "The Man who ate the 747". Very weepy, reminiscent of Nicholas Sparks' stuff. Another Agatha Christie and another Ruth Rendell made the mix I always have these around in paperback for reading on the airplane. House of Prayer No. 2, another southern memoir like "Little Boy Blues" by Malcolm Jones that I read earlier this year. 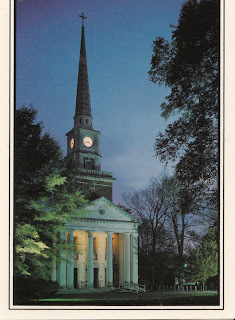 I just am drawn to southern authors! Crooked Letter, Crooked Letter is also a southern story with a really good mystery at it's core. Totally enjoyed it and read it in mere hours!! Empire of the Summer Moon is a great non-fiction book about the Comanche Indians. Lots of fascinating history of Texas and the Indian Wars of the 1800's. A Widow's Story is a look at the devastation that a death can have to your life. I read Joan Didion’s "The Year of Magical Thinking" previously and this is another look at that topic.